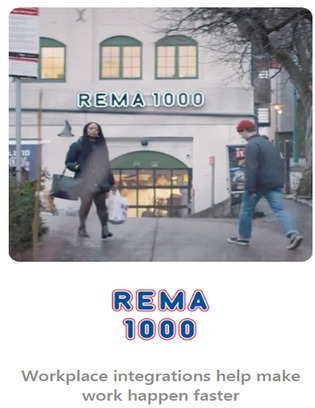 As a supermarket leader in Norway, REMA 1000 needed a collaboration tool to bring together its thousands of employees. Watch this video to see the full integration story of how REMA 1000 turned to Workplace by Facebook to create collaborative communication. Showcasing the company’s new interdepartmental tools, learn how REMA 1000 created fundamental company cooperation for everything from product recall news to workplace groups.